the subject data storage media is tested for basic functions. If media does not pass basic startup process: (spin up, identify itself) no recovery by Bizmarts is possible. Time frame is about 15 minutes. Minimum service charge may apply. for high value/security storage recovery the drive may be submitted to Data Systems Inc for clean room disassembly and attempted recovery. There is a flat fee of $750, payable in advance for this attempted recovery. If no recovery occurs, $500 will be refunded to the customer. 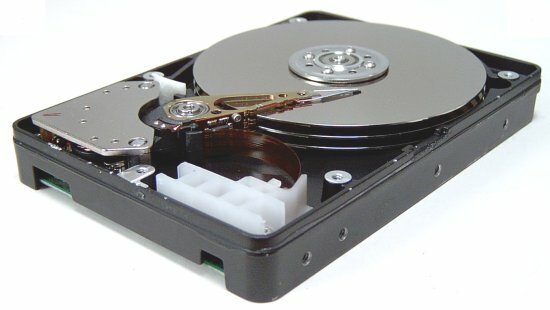 if subject drive passes initial startup test, then a bit copy is made from the media to a temporary drive equivalent in size to the target drive. Time frame is about 2 hours. a second bit copy is made of the subject drive onto a second temporary drive. Time frame is about 2 hours. using the second temporary drive a partitioning process is run to inspect, identify, and verify the contents of all partitions. Time frame is from 2-6 hours depending on size of the drive in gigabytes. the second temporary drive is then processed to recover the contents of all relevant subdirectories and the files in each. Typically no attempt is made to recover application and operating system subdirectories. Time frame is from 4 - 16 hours. A non-refundable service charge of $90 must be paid in advance before media can be submitted for service work. Estimated final cost is from $90 per subject drive, and allowance will be made for minimal or incomplete recovery results. Customer providing media for recovery attempts must sign and date this release from all claims of any kind related to recovery attempts in favor of Bizmarts. While every attempt will be made to responsibly recover data on media, no guarantee can be provided about the process. I, ______________________________, on this date____________ have read, understood, and agree to the above. Signature indicates service charge payment has been made.